We all do it. At least, we all should do it. Perhaps it would have been a better idea to get this post out before the holidays, but one never actually stops shopping, does one. When I shop online at various geeky places the likes of NewEgg, TigerDirect, etc., it’s becomes a real pain to hunt around for the best price-to-quality ratio. Enter stage-right, PricePirates. Trivia: Why Stage-Right? It has been demonstrated by various [probably too expensive] studies by various [questionable] experts that human attention seems to drift to the left. This should be accepted with an extremely large dose of salt (or something stronger). I recently read that ants tend to turn left, also. Go figure… maybe they have a marked propensity towards right-multi-footed-ness which would logically drive them in the left-mosted-ness direction. 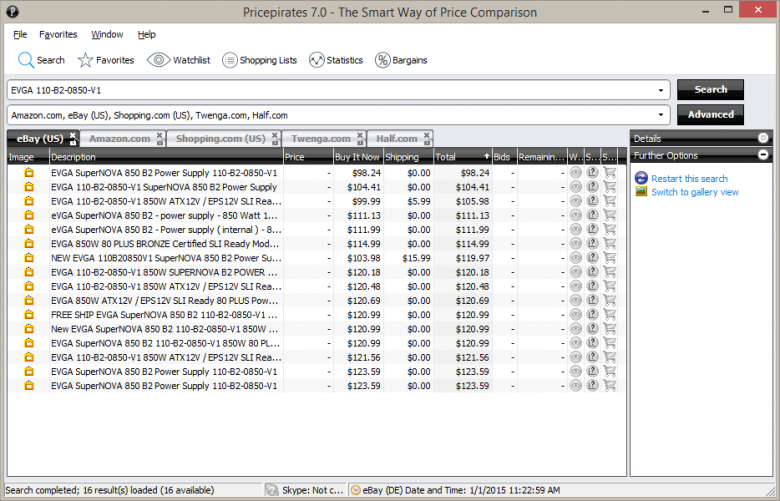 PricePirates is a nice utilitarian program that will help to immensely cut back on your comparison shopping burdens. In just one click, “Pricepirates” allows you to compare prices from auctions in progress on eBay with Amazon Marketplace offers and with many other offers from thousands of online stores. I haven’t tried the portable version yet, but judging from what the full installation has to offer, it might be a good choice if you’d like to carry it around on your key ring. The Main PricePirates screen has lots of choices. These are all little databases that the program will set up and maintain for you. The settings are obvious and easy to understand once you dig into them. There is no need for me to delve down deep with detailed explanations– you’ll “get it” right off. By setting any of these options up you will be able to search for the same items with the same settings without having to re-type everything again. A couple of mouse clicks and you’re on your way. It will even notify you of impending eBay auction endings so you can get your bid in before it’s too late. Incidentally, the above image shows a search I did for a power supply I’m interested in. By clicking the various tabs it is easy to see where the best prices are. You can also sort by any of the specifications by clicking the column header. I clicked on the Total header to sort them by price. I don’t know about you, but the price is kinda important, don’t ya think? At least, that’s where I begin to get a message. What Do I Like About This Program? If you are interested in giving it a go, then head to the Pricepirate’s Home Page. Prev:Was Amazon Echo Worth the Wait? PricePirates is almost totally useless to Canadians – a pretty bit demographic to Amazon, Best Buy and more. No Canadian sellers addresses to select and no Canadian currency. Deleted it until I hear the ‘true north strong and free” is included. I’m sorry it does not have much useful purpose for our northern neighbors. Perhaps there are equivalent alternatives for your neck of the woods? 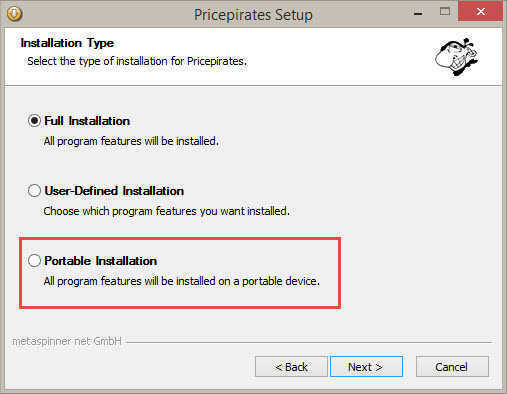 What is the difference between the online versus the desktop version of PricePirates? I’d guess the difference is that one is online and the other is not. I just installed it here in the US and it is very limited here also. It has Amazon, which I do use, but I don’t use any of the other marketplaces except Ebay, rarely. Incidentally, where electronics are concerned, Amazon is usually the higher-priced place to go. That’s been my experience, anyway, and is rarely my first choice. Let’s all remember that this little proggy was written in Europe. That should explain its focus. I hope work continues on this project so it may expand its horizons. I have recently had some correspondence with the authors of PricePirates. In response to the comments on this post, I have asked them to consider extending their covered sites to include the US and Canada. If that would happen, this utility would move up the ladder from being merely a useful piece of software to being a great one.